Is a too-short haircut making you wish your hair would grow faster? We’ve all been there. Of course your hair will eventually grow out, but is there a way to increase your hair growth speed and make hair grow faster? Keep reading to find out. 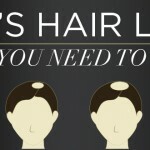 At most, hair grows one-half inch per month. That’s only six inches per year – max! Everyone’s hair grows at different rates. The hair at which your speed grows during the anagen phase of the hair growth cycle is determined by a number of factors, including genetics, age, hair type and overall health. Unfortunately, science has yet to uncover a way to speed up hair growth. You are what you eat. Hair is made of protein, so it makes sense that you should eat plenty of it to grow stronger hair. Add lean proteins to your diet like chicken, fish and tofu. Massaging the scalp stimulates blood flow to the hair follicles, supporting hair growth by delivering hair-healthy nutrients. 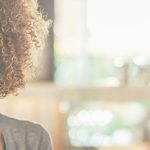 Preventing breakage is key to making the most of your hair growth. Avoid heat tools, don’t bleach your hair, and be extremely careful when detangling especially when hair is wet. Visit your hairdresser for ⅛-inch trims every 8-10 weeks to remove split ends and ensure that your hair looks healthy and vibrant. Style with a hair thickening serum. Using a thickening serum like Toppik Hair Fattener boosts up individual strands, making hair look more voluminous and healthier. If you’re looking for some extra oomph for your ‘do, look no further. Blow dry hair upside down. This simple styling trick costs nothing, but has big results. When blowdrying your hair, flip your head upside down and blast the roots. Drying the roots in this position will create loads of bouncy volume and make hair look thicker. Use hair extensions. Hair extensions can make hair look thicker and longer — at a price. Longer-lasting extensions require professional installation and can be quite expensive. Clip-ins are more affordable, but must be removed each night. And watch out: hair extensions can pull out and damage hair, so use a weight appropriate for your hair type. 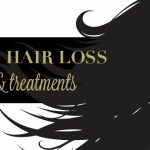 If you’re not careful, your hair could look even shorter and more damaged after you remove them, tempting you to re-install them even sooner to cover the damage, and the vicious circle continues! Try Toppik Hair Building Fibers. 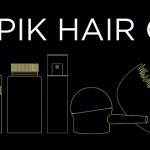 Toppik Hair Building Fibers are the best way to create the appearance of thicker hair immediately. Spray or sprinkle Fibers into sparse areas, then pat and finish with Toppik FiberHold Spray. Your hair will look instantly thicker, and no one will know! Plus, Hair Building Fibers do not damage existing hair, so you don’t need to worry about harming your hair growth progress. Eating a healthy diet and taking extra special care with your hair is the best way to help it grow thick and healthy-looking. Until then, fake it ‘til you make it with these tips!